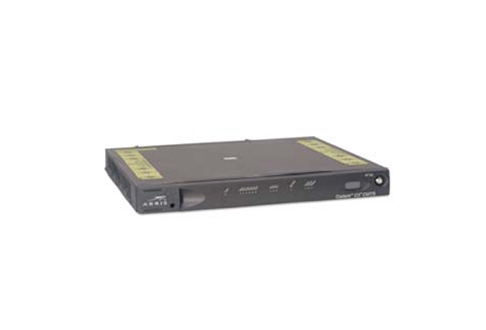 The ARRIS C3 CMTS is a CableLabs® DOCSIS® 2.0 Qualified CMTS delivering superior performance for up to 3000 registered cable modems while occupying only one rack unit (1RU) of space (1.75 in) in a head end facility. This small unit allows operations to properly deploy next-generation IP services for your existing networks when building out new networks in any market. The ARRIS C3 is based on a dual RISC processor architecture so that it can deal with high-volume traffic and still maintain proper latency control. Worldwide Supply is able to provide operators with significant savings when they choose refurbished ARRIS C3 CMTS from our supply. Industry experts certify that our equipment is properly maintained and brought up to like-new status, ensuring you get the full scaling support of the ARRIS C3. A leading advantage we hear about the used ARRIS C3 units we provide is the ability to manage multiple physical upstream channels so you can tailor your system to match the anticipated traffic based on network size and your local nodes. It supports a smart balance between growth and service performance, so it’ll be a wise decision no matter where your deployment area lies. Plus, you get boosted data rate support for those ultra-high-speed services that demand immediate bandwidth. It offers scalable, reliable service, such as building out up to 1,000 VoIP lines per CMTS. We buy and sell used ARRIS C3 units to help operators like you make the most of their budget. Our technicians can return all used equipment to working order so you can get the same quality as a new product. However, you’ll save up to 80% off the original OEM price, and we back everything with a lifetime warranty. Contact us to learn more about the warranty, or even to sell the OEM equipment that you’ve outgrown.